Wyong trainer Allan Kehoe is looking to end the current consistent campaign of Zioptimus on a winning note when the four-year-old chases his third win from his past four starts at Taree on Monday. Zioptimus ($3.60 favourite on TAB fixed odds) lines up in the Benchmark 58-Rising Star over 1250m. The race is the ninth heat of the 2018-19 Rising Star Series for apprentice jockeys. Zioptimus will be ridden by the 1.5kg-claiming apprentice Leah Kilner, who has partnered him at his past two starts for a win in a Class 2 Hcp (1300m) at Moree on November 2 and a last-start fourth to Camillo in a Class 3 Hcp (1200m) at Grafton on November 19. Zioptimus has been pretty consistent throughout his current nine-start campaign which kicked off in July. He has won two races, been placed three times and finished just off the placegetters in a couple of other strong performances. "I've always thought a lot of this horse, but he was a bit disappointing in his previous prep so we gave him a good six-month spell and he came back a better horse earlier in the year. He wants to be a racehorse now," said Kehoe. "He has certainly been consistent this prep - I think he's just improved with maturity. He's a full-brother to Ever So Natural (Zizour-Solysombra) who was a bit the same and also improved with age. Zioptimus shows no sign that he's coming to the end of his prep just yet, but I've decided to spell him after Monday's race - win or lose." Kehoe was rapt to draw a good gate in Monday's race whereas some of his main rivals have drawn wide: "This does look like a nice race for him. He's a winner on the track and the good draw on Monday is obviously is a key advantage as he should get a nice trail, while some of the dangers have drawn out a bit," he said. Taree-trained topweight Tiger's Image ($4.80) and the Kris Lees-trained Charlie's Law ($7) fared worse with the barrier draw, both coming up with the awkward gates. Kilner will also partner Kehoe's one other runner at Monday's seven-race meeting - Fudgewedge ($11) in the Benchmark 58 Hcp (1250m). Fudgewedge won her Maiden at Armidale in good style back in June, but has managed just one placing from her four starts this campaign. She is coming off a last-start eighth to Nooks And Crannies in a Class 1 at Grafton on November 19, but Kehoe said the run was a lot better than it appears on paper. 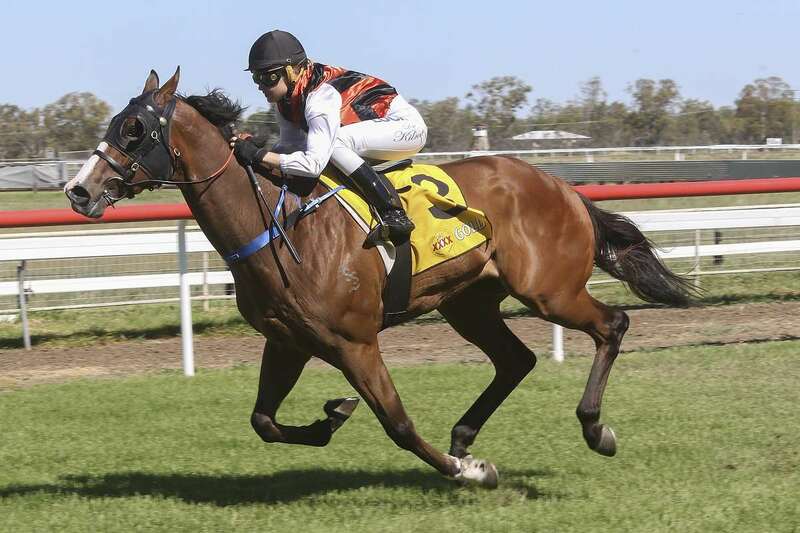 "I'm a bit surprised she hasn't gone on with it this prep, but a few things haven't worked out for her and she was unlucky at Grafton last time as she got squeezed out between two runners at a vital stage," said Kehoe. Leading Newcastle trainer Kris Lees will have several key runners at Monday's meeting, especially with Magnolia Power ($1.55 fav), who looks the one to beat in race two (Maiden Hcp), and Silver Melody ($2.60), a major threat in race seven (Benchmark 66).